Nicaraguan manufacturer and seller of 1502 Cigars, Global Premium Cigars, is pleased to announce their new giveaway. For the first time ever, Global Premium Cigars is making their exclusive premium ashtray available to the public with a fan giveaway. The ashtray was previously available only to select cigar retailers. The 4 lb. ashtray is sure to be a prized item among cigar aficionados. With a four cigar capacity and fine crafting featuring pewter and solid wood, it's the ashtray for all cigar fans. Measuring 10'' x 10'' x 2.5,'' the ashtray will be a stately centerpiece in a study or living room. Fans interested in winning the 1502 Cigars premium ashtray can enter via Facebook. After logging into Facebook, they can click “#1502Giveaway” on the Official 1502 Cigars Facebook page. A simple form is required to enter, and then fans submit their “smoking spot” photograph. Photographs submitted for the contest and will be uploaded to a Facebook album entitled "Ashtray Giveaway Contest." Global Premium Cigars will select a winner on October 1, 2013. The winner will be announced on Facebook and notified via email. 1502 Cigars CEO Enrique Sanchez anticipates fans will love the ashtray the company is offering to the public. “The ashtrays are a hit. Everyone wants them, but they are not available for purchase,” he stated. Individuals interested in a chance to win are urged to enter the Facebook contest before the deadline. 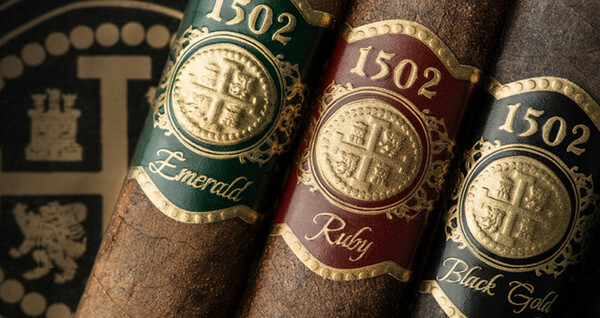 With cigars made with the highest quality, 1502 Cigars is an elite cigar maker. With three incredible flavors and global fans, we are proudly Nicaraguan. We take pride in every moment of a cigar's formation, from the sowing to the harvest, curing, aging and selection of every tobacco leaf. Each of our cigars unlocks a different flavor that is savory and unique. For more information, please visit http://globalpremiumcigars.com.